Video of RoboRoach in Action! 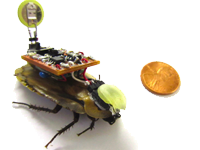 The RoboRoach "backpack" weighs 5.5 grams with the battery, and each battery lasts ~1/2 hour. 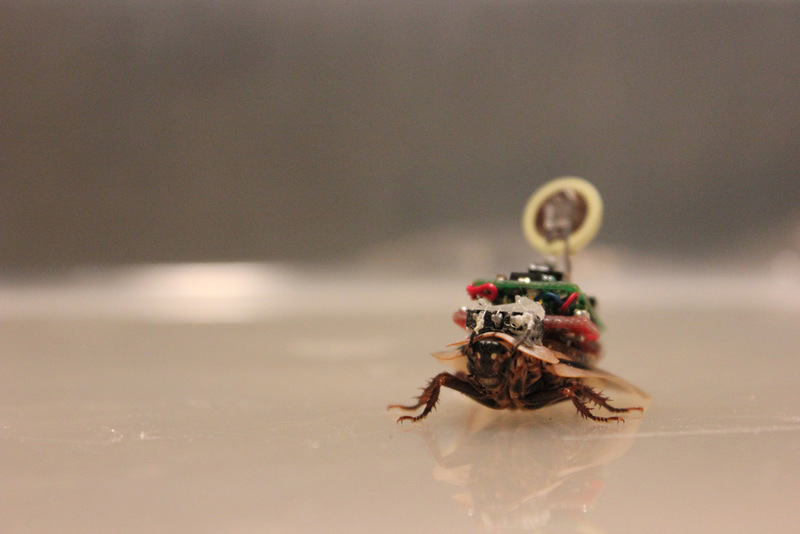 Following a brief surgery you perform on the cockroach to attach the silver electrodes to the antenna, you can attach the backpack to the roach and control its movement for a few minutes before the cockroach adapts. When you return the cockroach to its cage for ~20 minutes, he "forgets" and the stimulation works again. Once you receive your RoboRoach in the mail, follow our online surgery instructions and videos and you will soon be on your way to becoming an expert in neural interfaces. After about 2-7 days, the stimulation stops working altogether, so you can clip the wires and retire the cockroach to your breeder colony to spend the rest of its days making more cockroaches for you and eating your lettuce.